Okay so I just got my license in L&H and P&C and I don't know which direction to go in. I have shadowed a Independent agent that I am good friends with and from my understanding, many like the independent way better, not saying everyone though. I know you get higher commission, higher renewals, and you get to keep you book of business if you worked from company to company. I have also had interviews with State Farm, Allstate, and Aflac, and Farmers. After further research I've really knocked it down to State Farm or Allstate. I feel like I might get excellent training, and a lot of support from the staff if i went this way, as well as a reputable name. Being that I'm 21, have little capitol and little experience, would it be best to start at a captive agency, learn the ropes, understand the business in and out, and then branch off independent and cut my losses on that book of business? Or should I start at a independent agency? Also, the State Farm Agent offered salary (35k-40k)+commission? So with that said would it be wise to start there, save as much money and obtain as much information, then go Independent and start dropping leads and branch that way? I know I've gotten a little confusing here but any reply would help. Thanks! Go with State Farm with salary, and commission. When you save some money. and in a few years you can go independent, with or without State Farm. 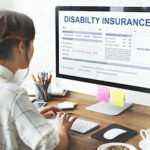 Although this forum is huge into the independent concept, I really think it best to start off with a stable insurance position when you start in the industry. Professionally speaking I think pretty highly of State Farm. Knowing nothing else about this situation, I would start off there. Work to learn from the people you work with and ASK lots and lots of questions. Agree 100%. Go captive with one of those companies and learn the insurance game, build up your referral sources, and then after 1-2 years dive into the independent model. Okay thanks guys. Thats what I was thinking. I figured I would start captive, learn the industry up and down and atleast with State Farm I am able to earn money while going through the learning curve. I know eventually I will want to go independent, so if I could manage up a deal where the independent agency gives me 50 or so leads to start and build from that would that be worth getting into? If someone is willing to put me on my feet in the independent agency, would it then be worth it to start that way?